Irrespective of how hard you try, protein deposits can affect both hard and soft contact lenses. It happens because the tears in your eyes have native protein deposits that accumulate on your lenses. There is another type of protein deposit, called denatured protein deposit, which is relatively more opaque in nature and can make your vision unclear. You have to clean your lenses regularly to avoid protein buildup of all types. Let's find out how to do it properly. It is important to clean your contacts regularly and properly. Not doing it right would result in irritation of the eyes, eye infections, disturbed vision, and even impaired vision. It is therefore important to not overlook the fact that your contacts are in need of some cleaning. Start by washing your hands first. It is even better to use an antibacterial soap for this. This is important because you can easily transfer bacterial and dust from your hands to your contacts. It is also important to handle your contacts after drying your hands properly. Close your protein basket or contact lens case properly. Ensure that it is tight enough to keep the liquid from leaking out. Now, shake the case for 30 seconds to ensure the contacts are fully coated with the solution. Let the contacts soak for about two more hours. Get your contacts out of your cleaning case and then rinse it with a saline lens solution. If you notice any bubbling after applying the solution, continue with the application until there is no bubbling, which indicates that there is no protein buildup left. You can now store your contacts in your regular solution. You should use eye drops regularly to keep your contacts in a perfect condition. Look for eye drops that re-moisturize your contacts and keep them clean as well. Regular use of eye drops also lowers the chances of protein buildup on your lenses. You should always remove your contacts before going to bed at night. Be sure to do the same even if you have contacts designed for overnight use. The contact of hair or makeup with the eyes may lead to the formation of debris that can cause blurring of vision. Once there is debris, there will soon be protein buildup on contacts. It is therefore important that you wear your contacts only after you have applied your makeup. Another thing to do is use hairspray in a separate room where you are not going to insert your lenses. Even when you cannot see, hairspray may still be in the air that can accumulate on your contacts and cause problems. It is also a good idea to treat your contacts with some sort of an enzymatic cleaner at least once a week. You should clean your lenses as usual with the help of saline solution and then use the enzymatic cleaner. Be sure to follow all the directions mentioned on the cleaner. This works great to get rid of the obstinate protein buildup. Instead of using soft contact lenses for biweekly or even monthly use, consider using daily lenses to avoid dealing with any trouble with protein deposits. You may have to change your contact brand, but be sure to pay attention to the suggested use timeframes as well. When you use your lenses for extended time, you increase your risk of dealing with protein buildup. 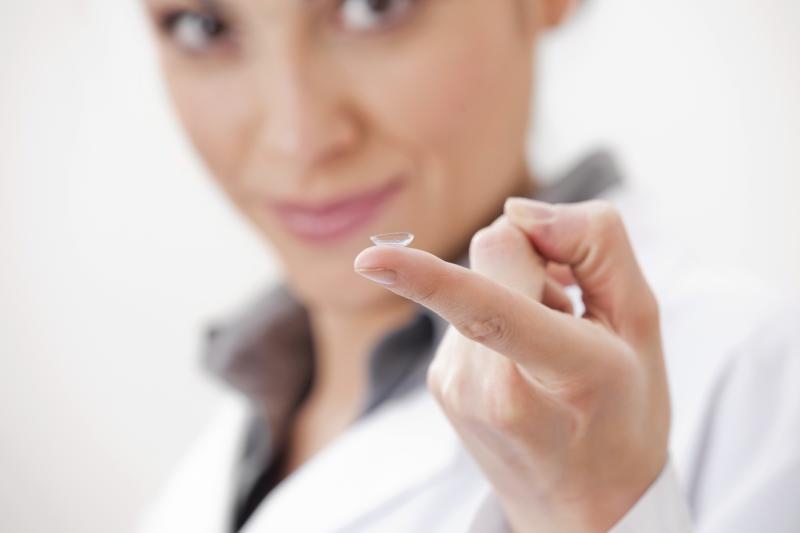 Using lenses longer than suggested may even damage eye tissue and cause infections. In case saline solution fails to provide desired results, you may consider using hydrogen solutions to prevent protein buildup on contacts. They provide you with a thorough cleanse. You usually get them in a specialty case that also has a platinum coating, which helps clean your lenses by breaking down the hydrogen molecules. You need to leave your lenses in the case for at least six hours for satisfactory results.